Focuses on how AS presents in pre-school children. An essential guide for parents coming to terms with their child's AS diagnosis and for the professionals who work with this age group, it is unique in answering pressing questions specific to younger children. How can parents help their AS child to develop speech and language? What help is available at school and home? When, if at all, should a child be informed about AS? Including a useful summary of early childhood development stages, Leventhal-Belfer and Coe provide a diagnostic model based on assessment of the child in contrast to 'neurotypical' children, considering relationships at home, in school or in care. Their book shows how to develop tailored early intervention strategies and to assist parents, teachers and mental health professionals in making informed decisions to nurture the development of AS children. Identifying Autism Spectrum Disorder (ASD) as early as possible can have a significant, positive impact on the child's journey to adaptation and independence. Yet too few diagnoses take place at an early, developmentally crucial stage. This unique visual guide aims to equip readers with the skills to recognise ASD in children as young as 15-18 months old. The book provides a systematic framework for understanding the complex nature of ASD. From social interaction to communication to restricted and repetitive behaviours, each chapter focuses on key symptoms and uses photographs to illustrate and enhance understanding of presenting or absent behaviours. 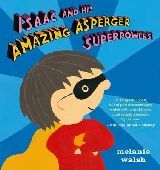 It is written in an accessible style and covers all of the core aspects of ASD, giving readers everything they need to be able to successfully identify the behavioural indicators of autism. A final chapter provides an overview of assessment options for young children being evaluated for possible ASD. Practical Solutions for Educating Young Children with High-Functioning Autism and Asperger Syndrome is designed to help parents and professionals navigate the challenges for early learners with high-functioning autism (HFA) and Asperger Syndrome (AS). Because their deficits are more subtle, these children may be less understood by educational professionals. This book is a much-needed resource to help teachers understand their younger child with HFA or AS. Throughout Practical Solutions for Educating Young Children with High-Functioning Autism and Asperger Syndrome, examples are given to highlight useful strategies. In the first chapter, the author builds a foundation by explaining HFA/AS and some typical characteristics, such as sensory issues, attention deficit disorders, and difficulties of socialization. Later in the book, she dedicates an entire chapter to the educational setting and transition planning, including the process of moving into kindergarten or first grade, shadowing, and planning for inclusion. Finally, two in-depth case studies at the end of the book put it all together. Each case study typifies the kinds of challenges common to children with HFA/AS, and synthesizes how the strategies described in the book can be used in combination to maximize success.